File under “Things FACT Magazine convinced me I needed in my life.” This 3xLP set was easily the best non-food purchase I made in Toronto last month. Of course I’d been aware of Laraaji because of his collaborations with Eno and Blues Control, but I never delved into his solo works. The first half of this collection focuses entirely on excerpts from his self-released tapes dating back to the late ’70s, and there is just so much mindblowing stuff here. The zither seems like the type of instrument that I’d enjoy pretty much any music that’s created on it, but this sort of ambient meditation music is just so otherworldly and unique. So many strange sounds I can’t place or figure out how he’s making them. But what gets me more than anything else are the songs where he sings. “Vision Song Suite” is 6 minutes of brief drum machine + zither avant-pop vignettes, and I want to hear several entire albums of this stuff. Literally the only thing I can compare it to in any way is Arthur Russell’s solo cello stuff, just in how he takes one instrument, a minimal drum track, his voice, and effects, and just crafts these incredible melodies and strange sounds, and it just deeply resonates with me. One of the things I enjoy best about music is when you hear an artist that just makes you stop and think, what possessed this person to create something like this? When you sit down and pick up an instrument and write a song, usually this is not what comes out. What sets this artist apart and makes him create something so utterly unique, and where can I get much, much more of it? So yeah, that’s what this is making me feel like. But besides the music from home-recorded self-released cassette tapes, there’s plenty of samplings from Laraaji’s higher-profile recordings. The transition from the cassette fidelity to warm, expansive studio ambiance is jarring, not so much on the track with Eno (which was recorded in 1980), but on the 1986 track with Jonathan Goldman, which sounds more like I would expect something from Eno’s Ambient series to sound like. The tracks with Michael Brook have a bit more of a running-stream nature feel to them, and “Laraajingle” is a downtempo trip-hop mantra recorded with Japanese group Audio Active. Bill Laswell’s recognizable bass sound is present on “Airbass”, an ambient drone from a 1998 Divination album. 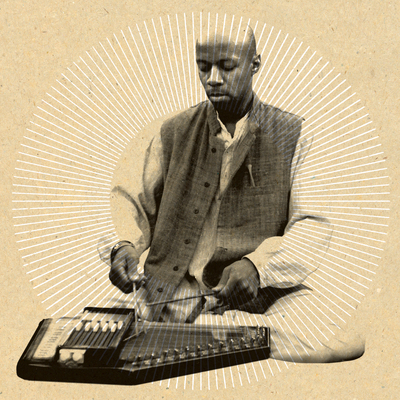 A couple of Laraaji’s newer self-released recordings appear towards the end, including the surprising ambient techno shuffle of “Staccato”. The entire last vinyl side is taken up by a 17-minute track from Laraaji’s collaboration LP with Blues Control, which I seriously which I’d picked up when I DJ’ed at a show they played in Ann Arbor a couple years ago. This whole collection is amazing and has been soothing me during some stressful times lately. There’s a few more recent Laraaji reissues that I need to look into, when I have money to buy records again. But I let myself buy the remix 12″ that also came out this year, because I’m a huge fan of everyone on it. 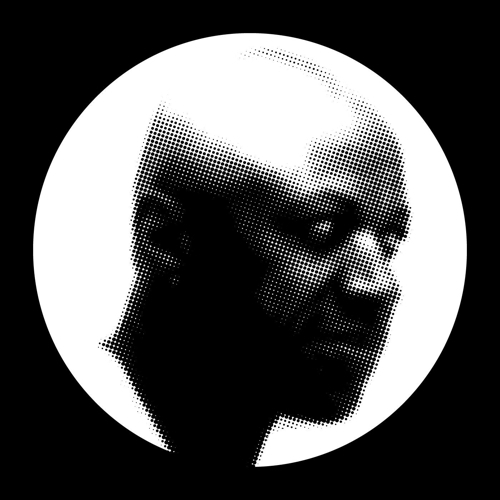 Bee Mask is a perfect match to remix Laraaji, blending nature-like tones and bouncy electronic rhythms with space and a few crucial noise swarms. Ela Orleans goes a more poppy route, surrounding kalimba melodies with gently trippy breakbeats, and incorporating vocals (her own as well as Laraaji’s, I think) as the track progresses. Sun Araw takes “Laraajingle” and turns into an even trippier, more abstract bit of blown-out dub, and reminds me that I still haven’t heard the newest Sun Araw album yet. Motion Sickness Of Time Travel takes a loop from “Space Choir” and repeats it in a way that it snaps back to the beginning and initially made me think the record was skipping, and slowly adds more synths over 8 minutes until getting choked by distortion at the end. Totally inconsistent with Laraaji’s music, but still a really powerful contrast. Looks like All Saints released an entire series of newer artists remixing older artists, and usually I hate stuff like that, but this 12″ is definitely ace, and I’m really curious what Hieroglyphic Being and Peaking Lights remixing Roedelius sound like.